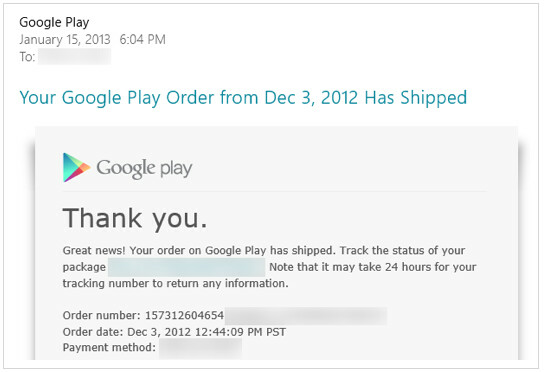 Someone in Canada is getting a Google Nexus 4 real soon! Just because the Keebler elves can churn out millions of cookies a year from their magical tree house doesn't mean that the Google Nexus 4 can be produced in this manner. But perhaps LG will need to consider to hire some magical elves just to catch up with the back orders left with the Google Nexus 4. A recent estimate that only 375,000 units have sold indicate that the problem is not one of demand, but is one of supply. 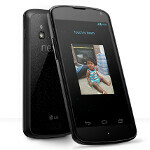 And with speculation that the Korean manufacturer has halted production of the Google Nexus 4 in order to start producing the next-gen Nexus model, there is some question of whether or not we will ever see the Google Nexus 4 back in the Google Play Store. T-Mobile is getting a limited supply of the device which will probably be snapped up quickly. Still, those who essentially pre-ordered the model are still owed a phone and up in Canada, the lucky ones will soon be receiving the Google Nexus 4 they ordered back in December. I ordered mine at 3pm because i went to the google play store(Canadian website) and it it said exactky at 3pm that the nexus 4 was in stock so i ordered it but i still didnt get no email,my shipping frame is 7-8 weeks which is next week or the week after. Yes, i ordered it on dec 3;is anyone else in the same shoes as i am?